At Jmac Graphics, We only use the highest quality materials for vehicle signage which means your one off investment will last up to a possible 7 years ! We used a Green Supreme Wrapping Film half heigh and full width of the Hyundai on the side, full bonnet and full rear. Computer cut Red and Black vinyl graphics to the rear and side panels. 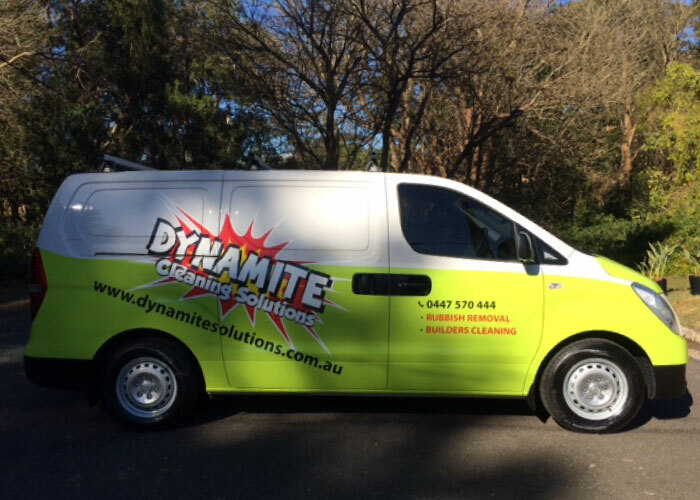 Digital print car wrapping film with gloss laminate for Dynamite Cleaning Solution Logo.